The Mirage F.1C came to being as a private venture of the French Dassault company. 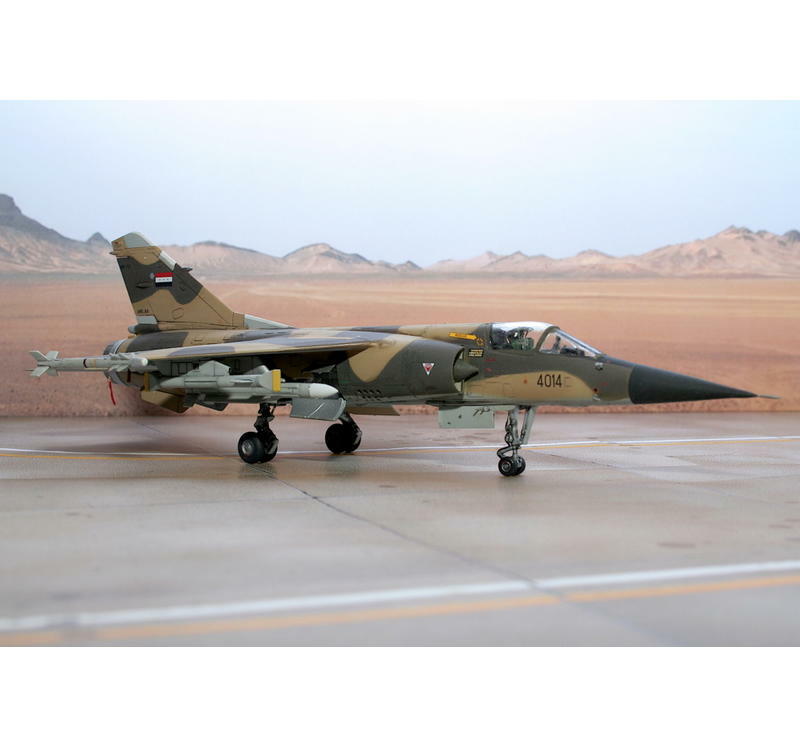 The French Air Force, or the Armée de l´Air, had ordered two prototype aircraft named Mirage F.2 and Mirage F.3 which were to be equipped with a JTF10 engine. 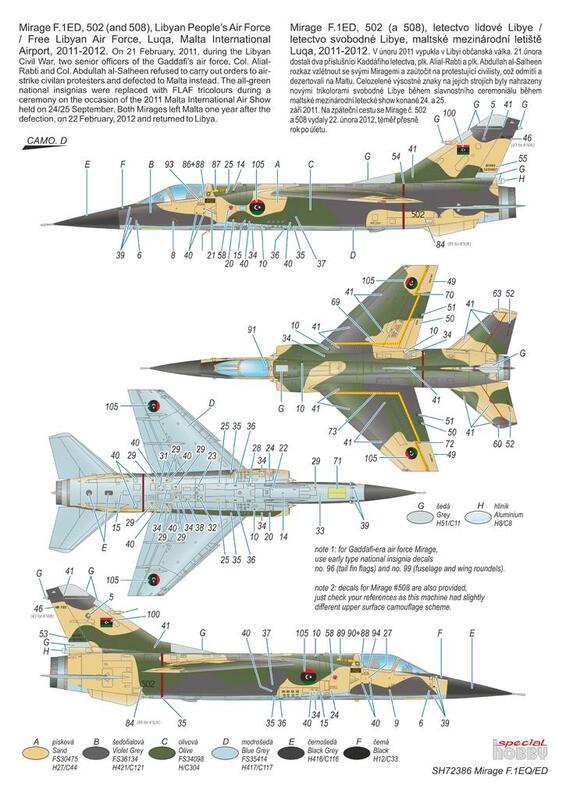 However, Dassault built on their own expenses yet another prototype, smaller than the two previous and fitted with an Atar 9K power plant. This machine, which was eventually chosen, took off for its maiden flight on 23 December 1966 and production aircraft were put on strenght of the Armée de l´Air in single-seater fighter version known as the F.1C and two-seater F.1B trainer version. 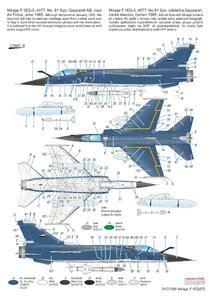 During their service, number of the machines were upgraded by fitting of IFR probes which gave the F-1C-200 version. 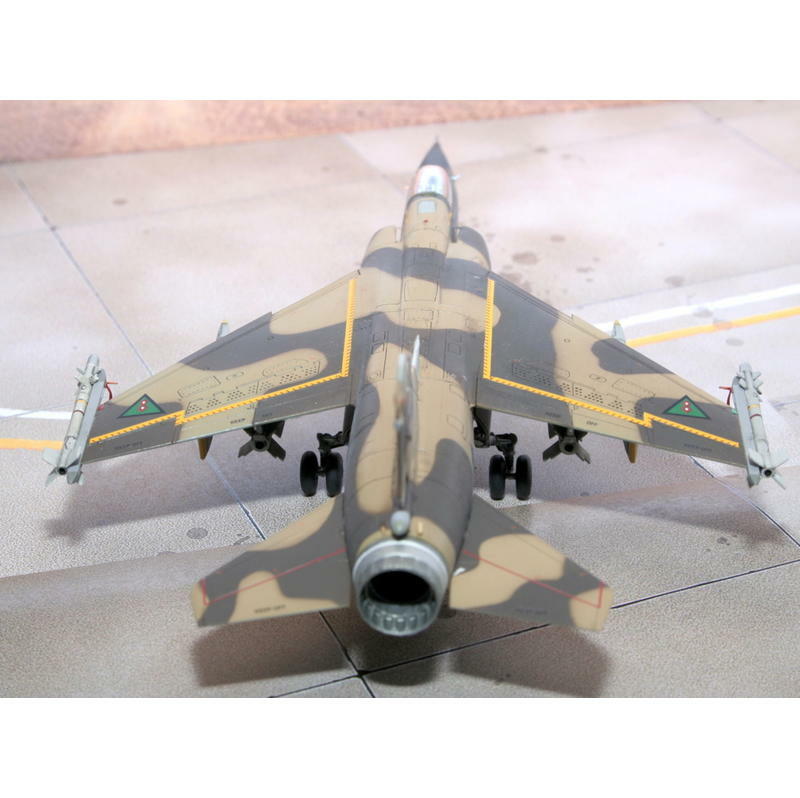 The French Air Force used also a dedicated reconnaissance and a ground-attack version, designated the F.1CR and CT respectivelly, the latter being converted from F.1-200 machines. In total, 246 of all versions served with the French, the type was exported abroad and enjoyed success with foreign air forces. 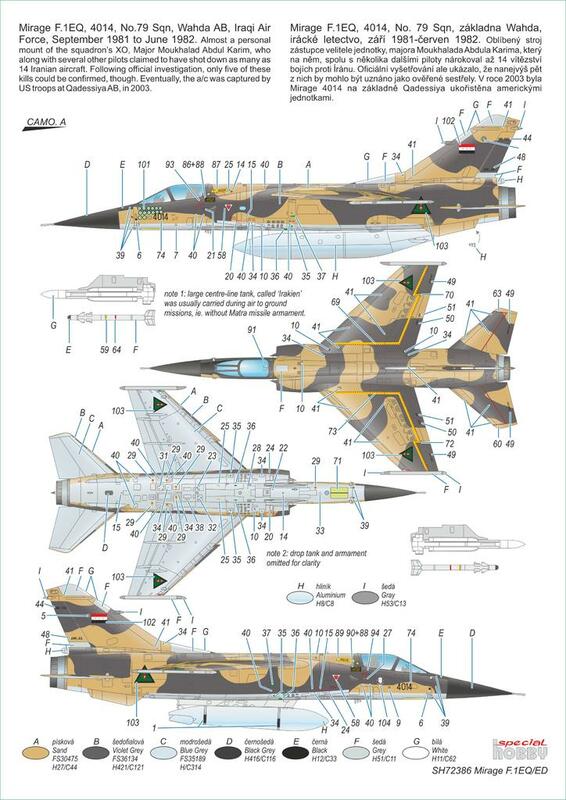 In Europe, the Greeks and the Spanish flew the Mirage F.1C, in South America there was only a sole operator, the Fuerza Aerea Ecuatoriana, but in Africa and Asia the Mirage F.1C an B were put on strenght of air forces of Gabon, South Africa, Morocco, Libya, Iran, Iraq, Jordan, Qatar and Kuwait and were used in many clashes around the world, including no-shot combats of Greek pilots against their Turkish adversaries, as well as French military actions in Chad, Ecuadorian over-border skirmishes with Peru, battles of South African Mirages against Angola-based Cuban fighters and the list might end with mentioning the Iran-Iraq war in which the Mirages were used by either side. 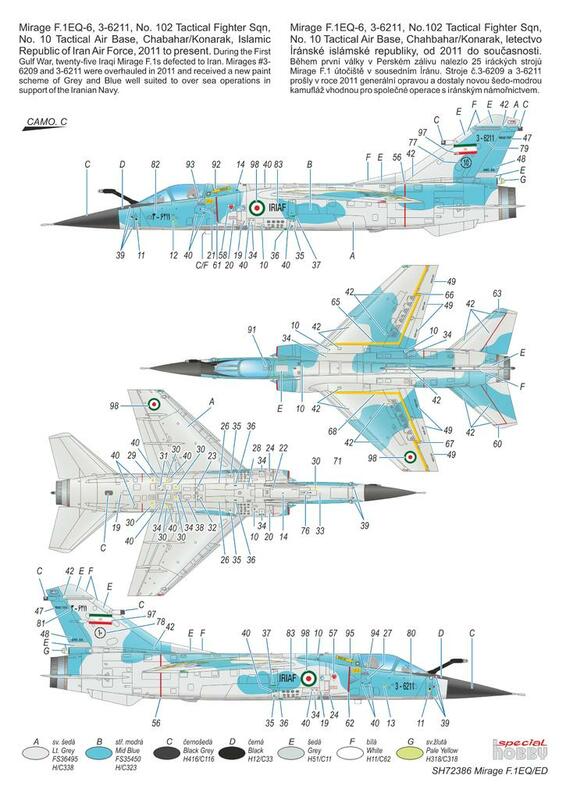 And even nowadays the type keeps on flying in several countries. 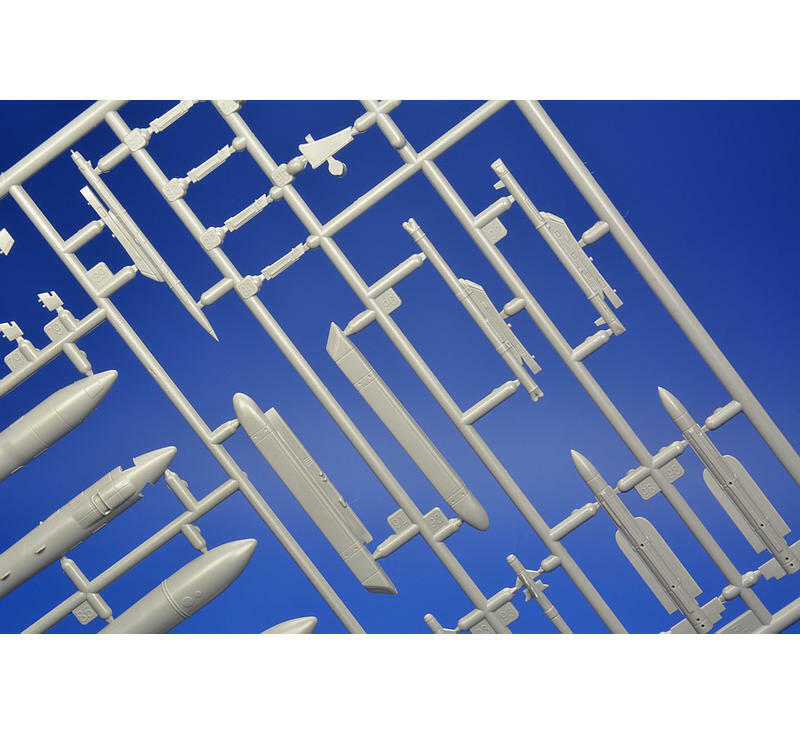 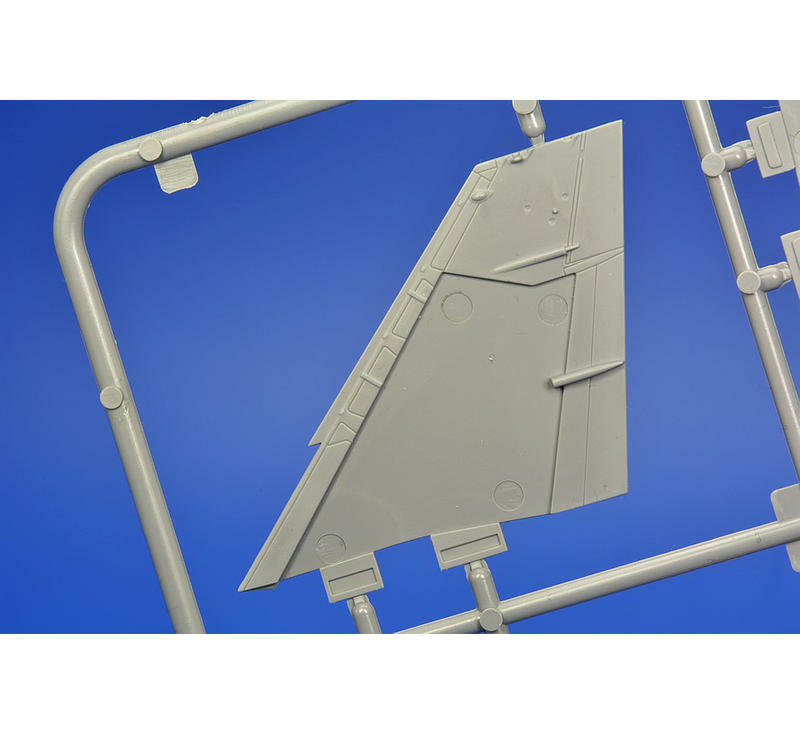 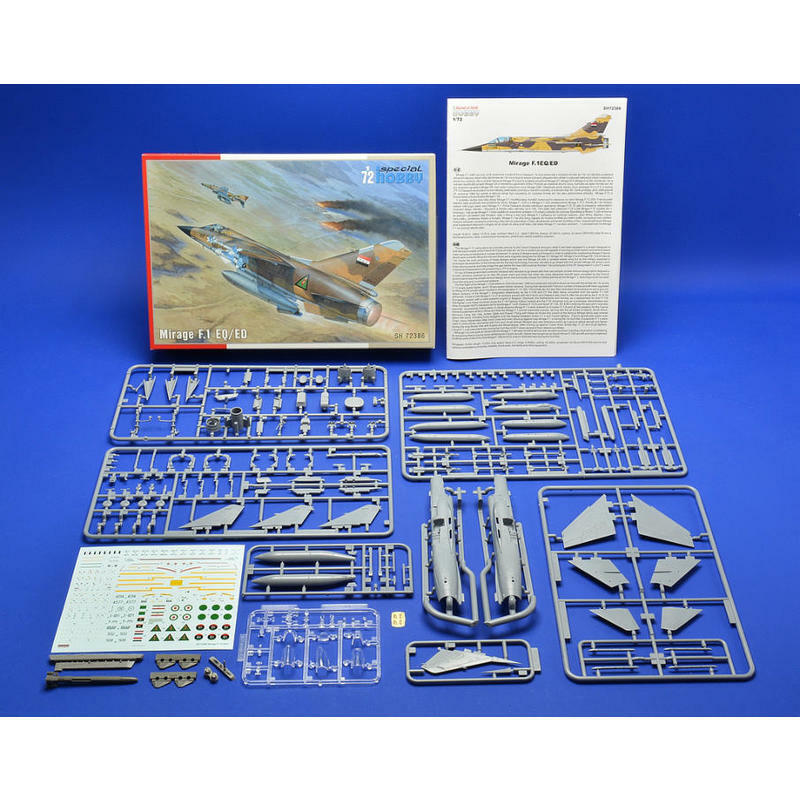 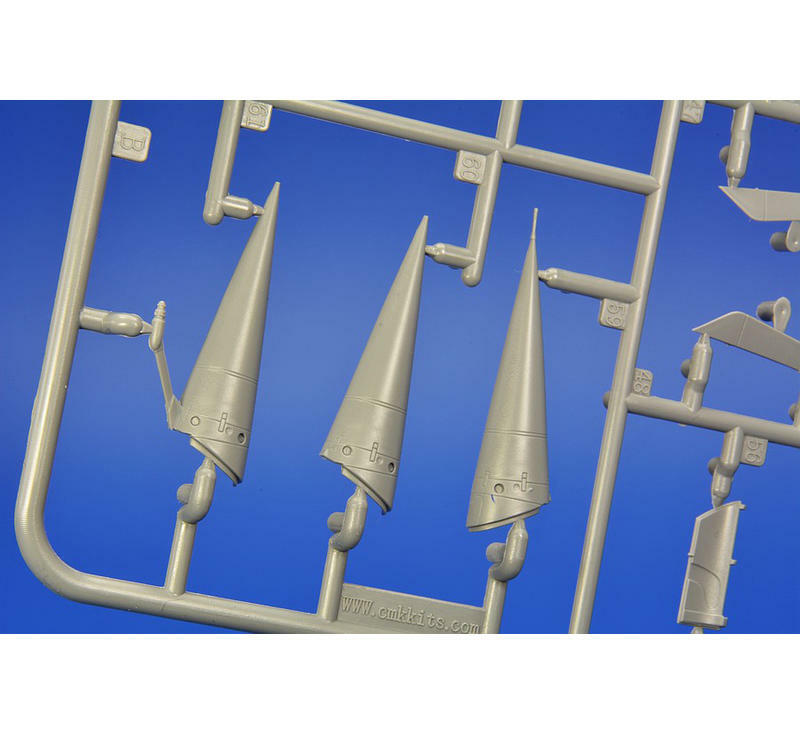 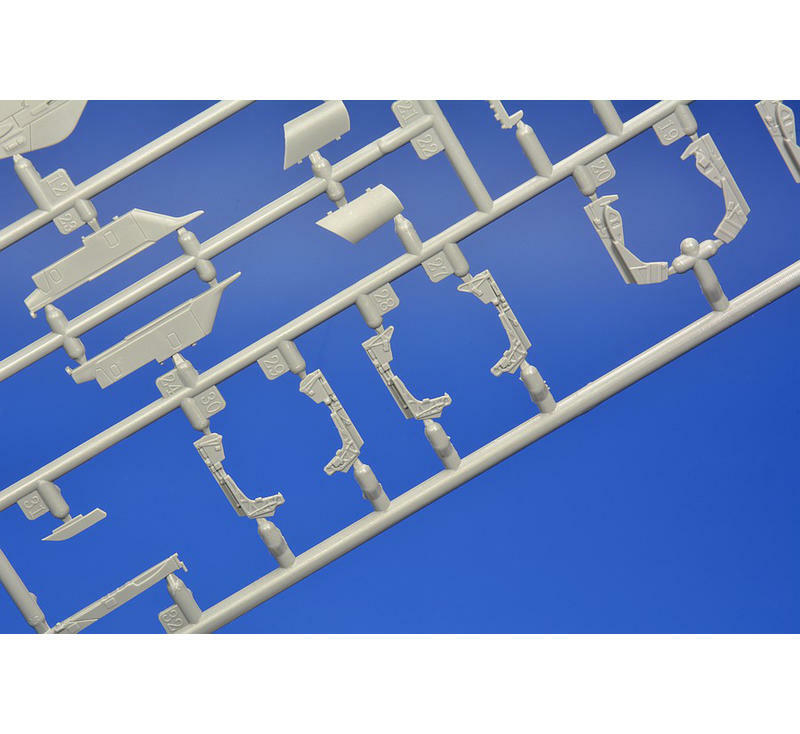 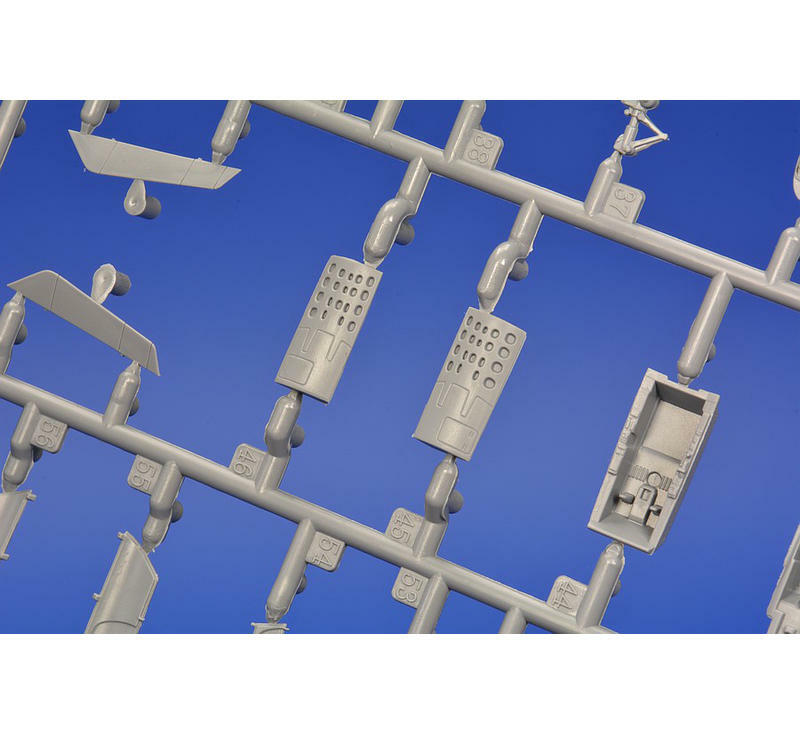 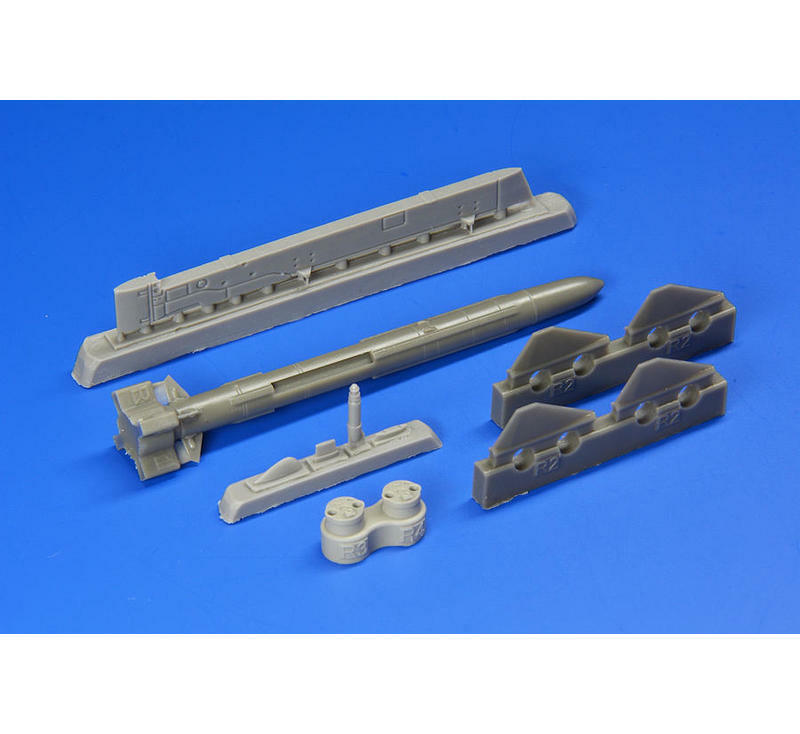 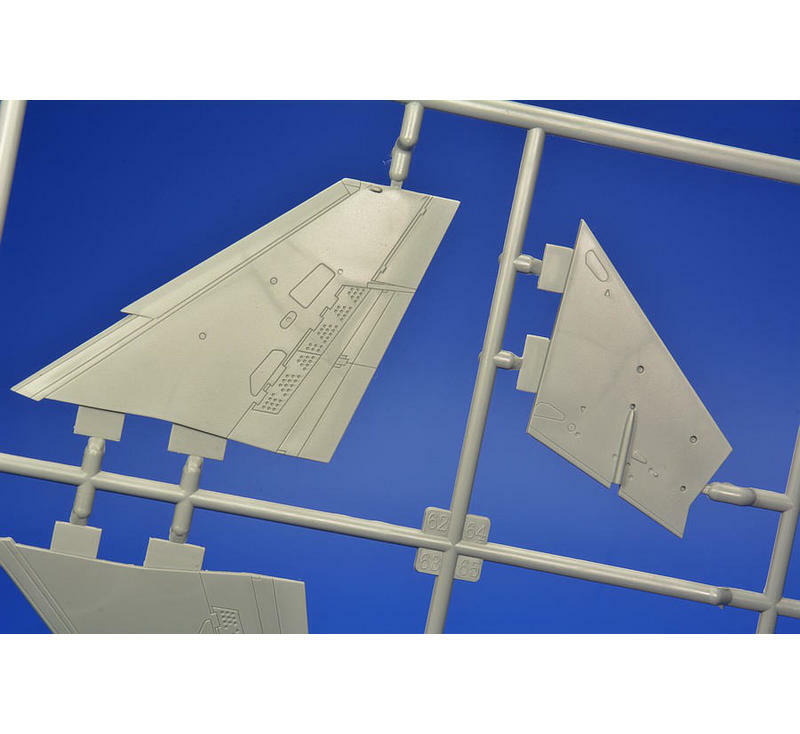 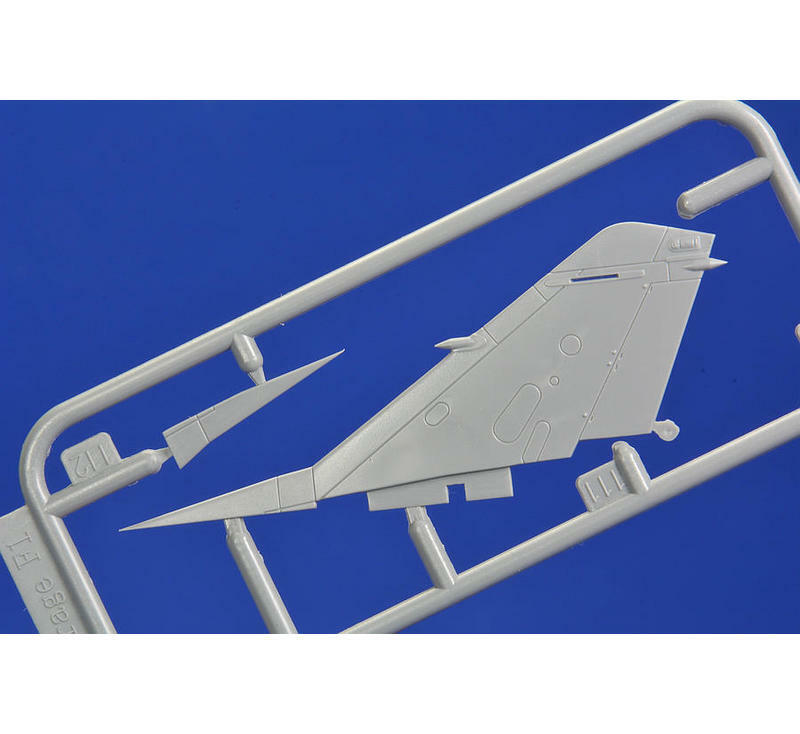 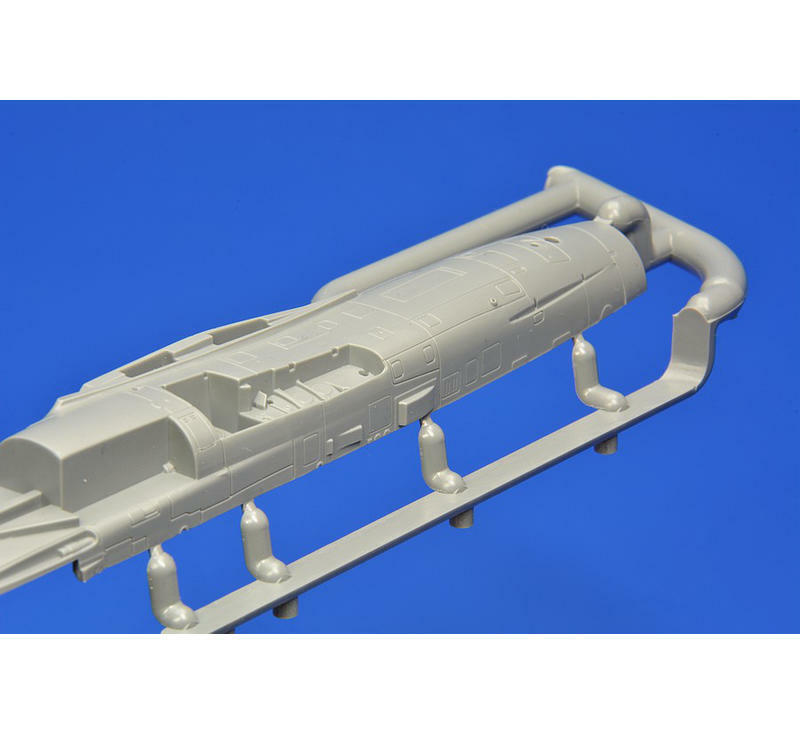 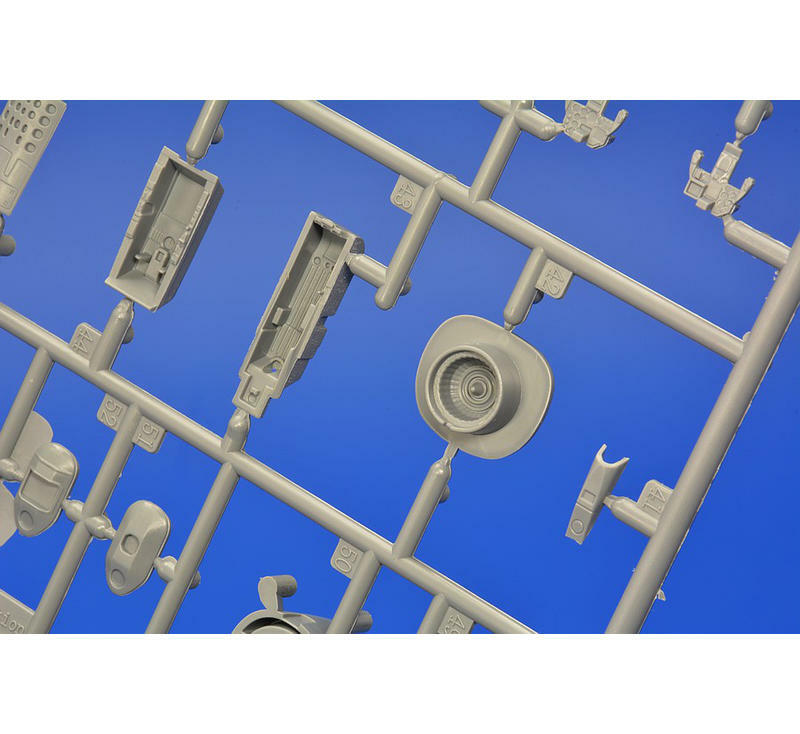 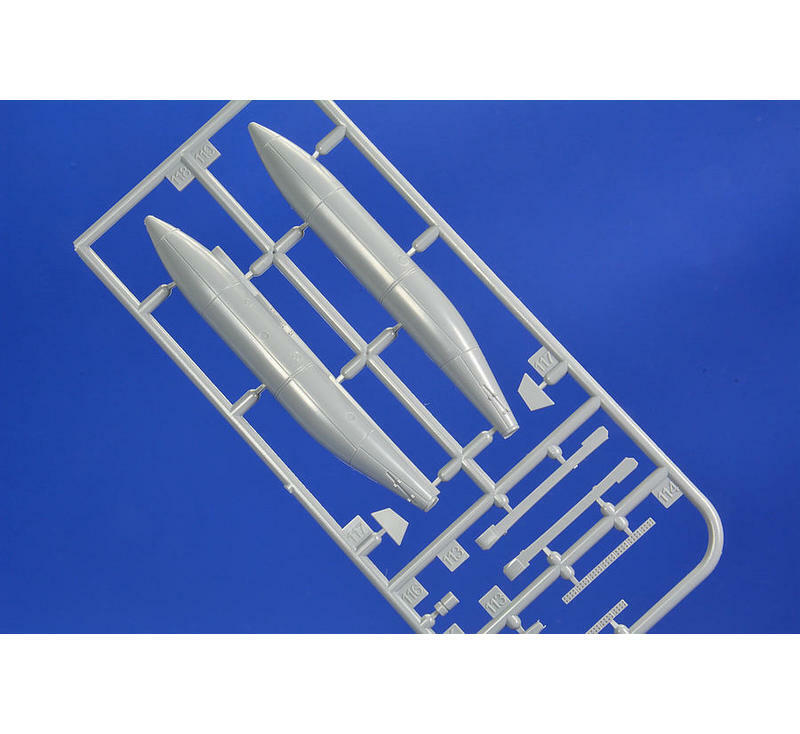 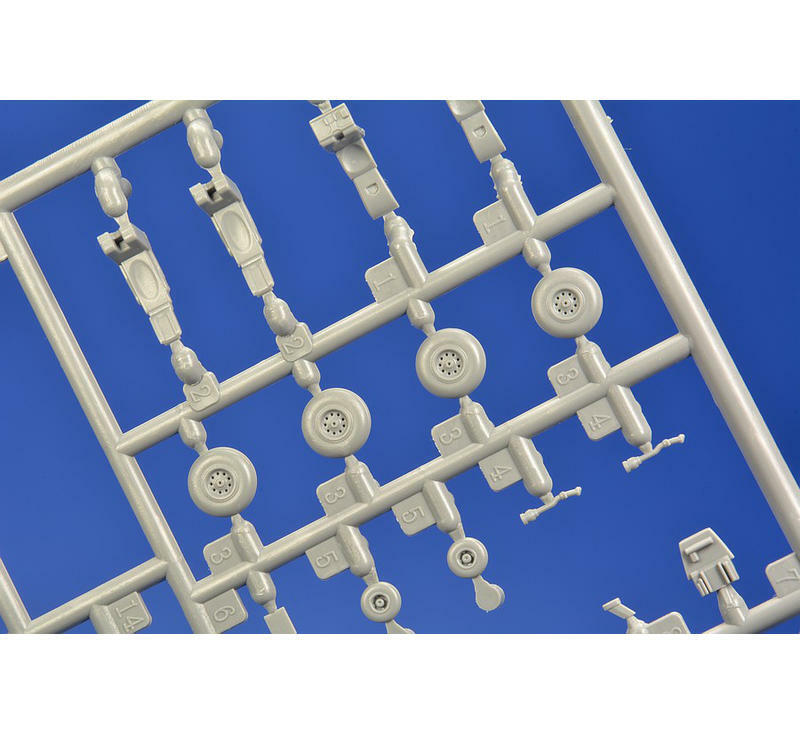 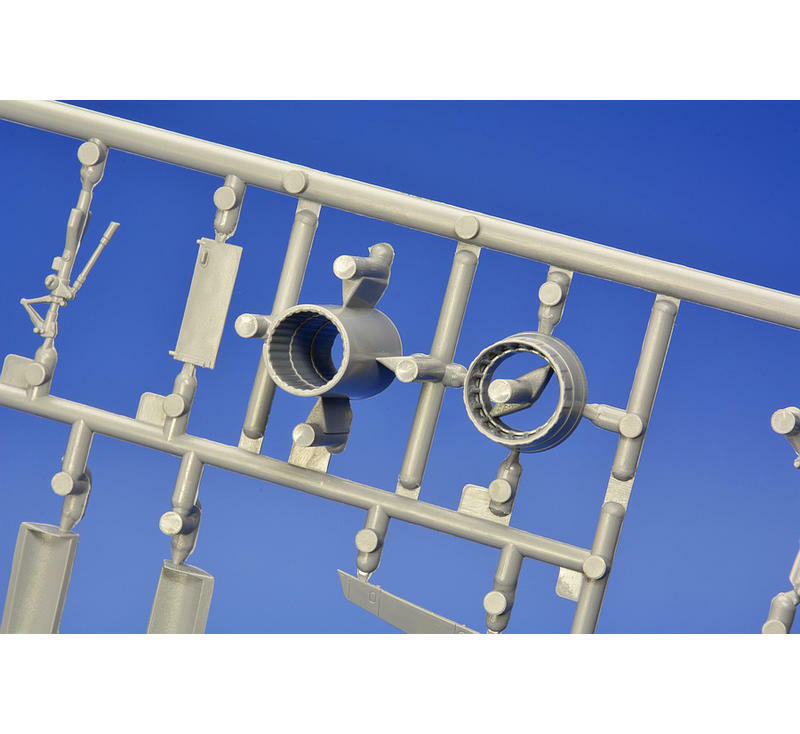 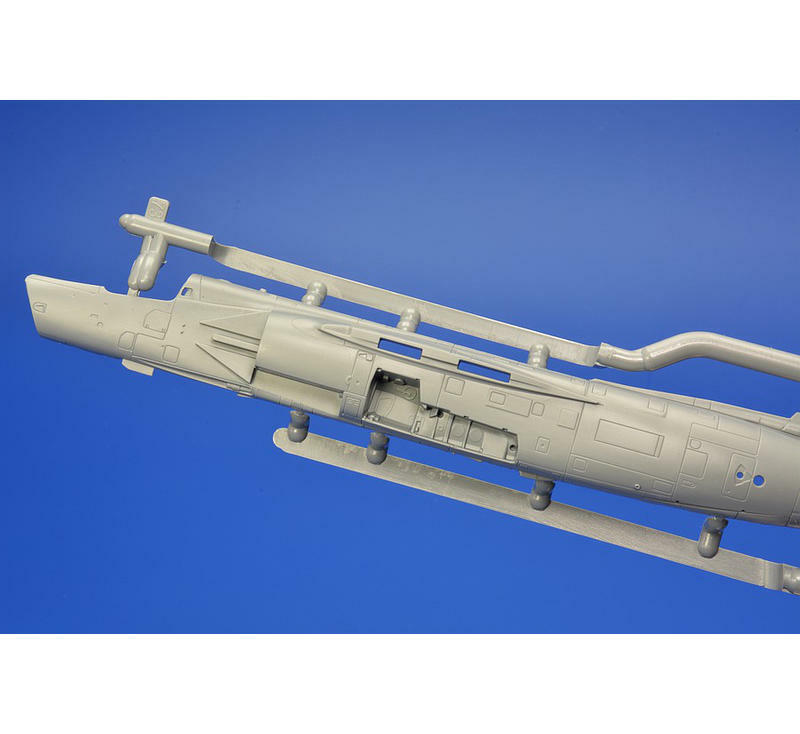 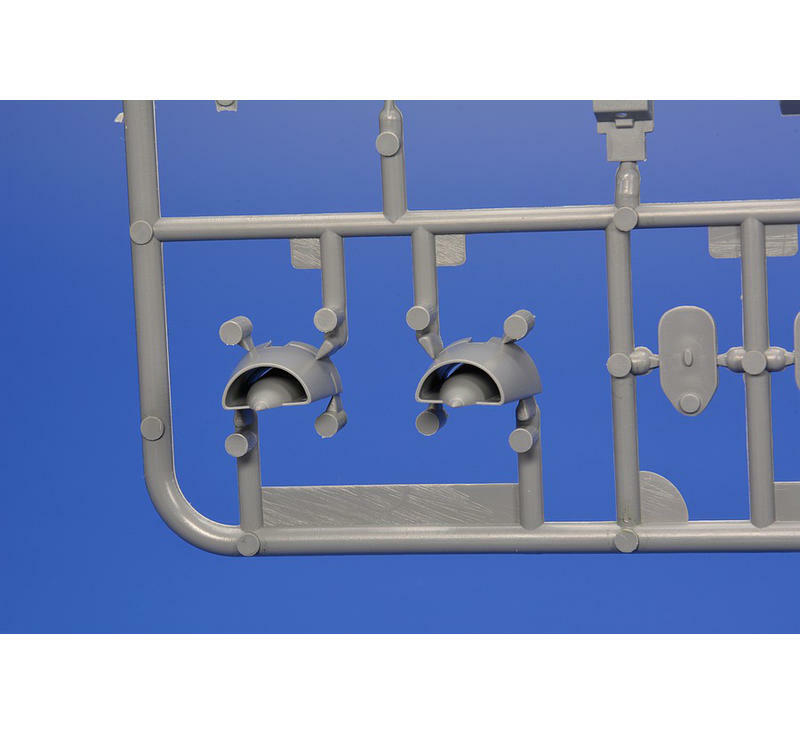 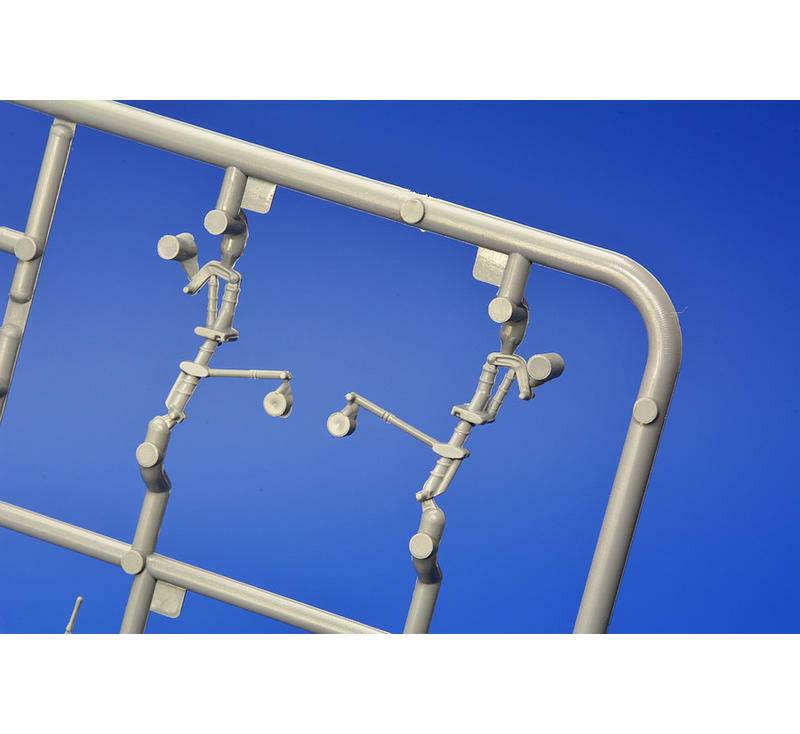 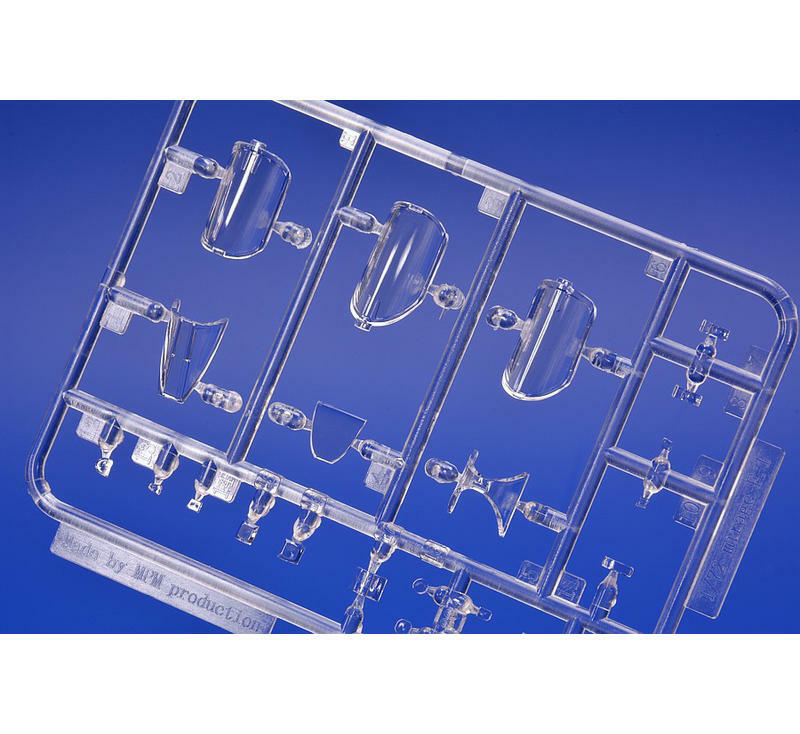 Finely detailed 1/72 Mirage EQ/ED model comprises as many as seven sprues of grey styrene, one sprue with clear parts and resin parts for the Exocet missile and its centreline pylon. 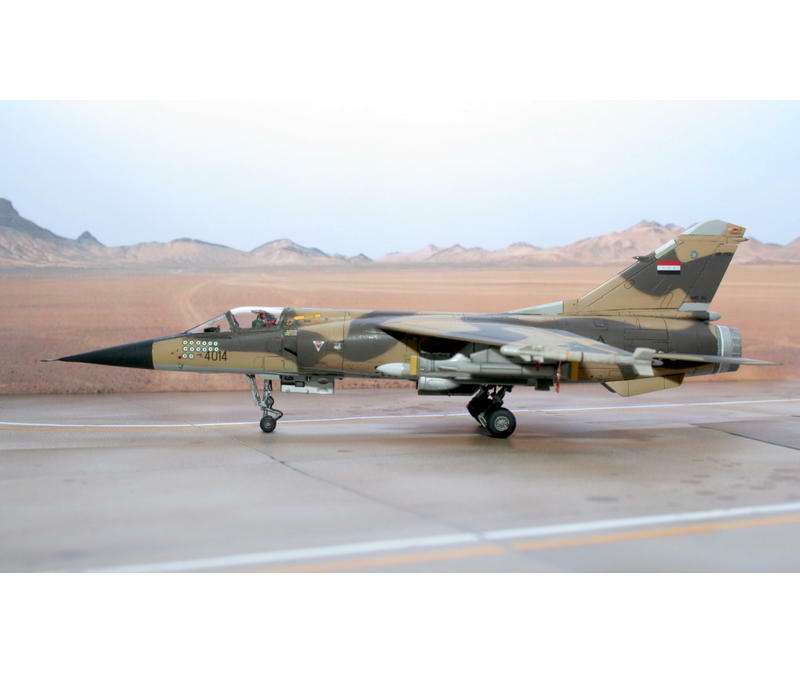 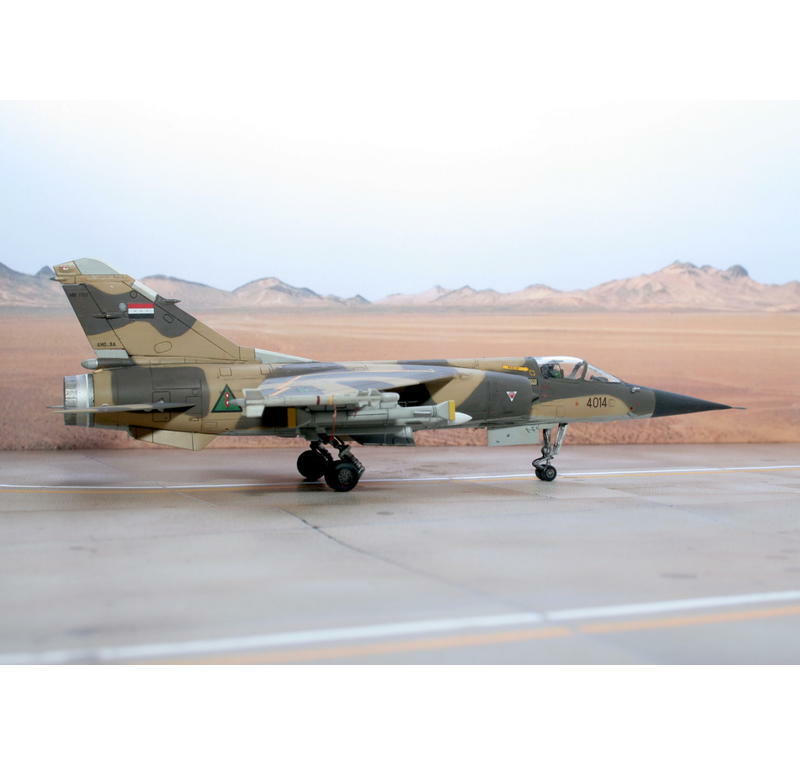 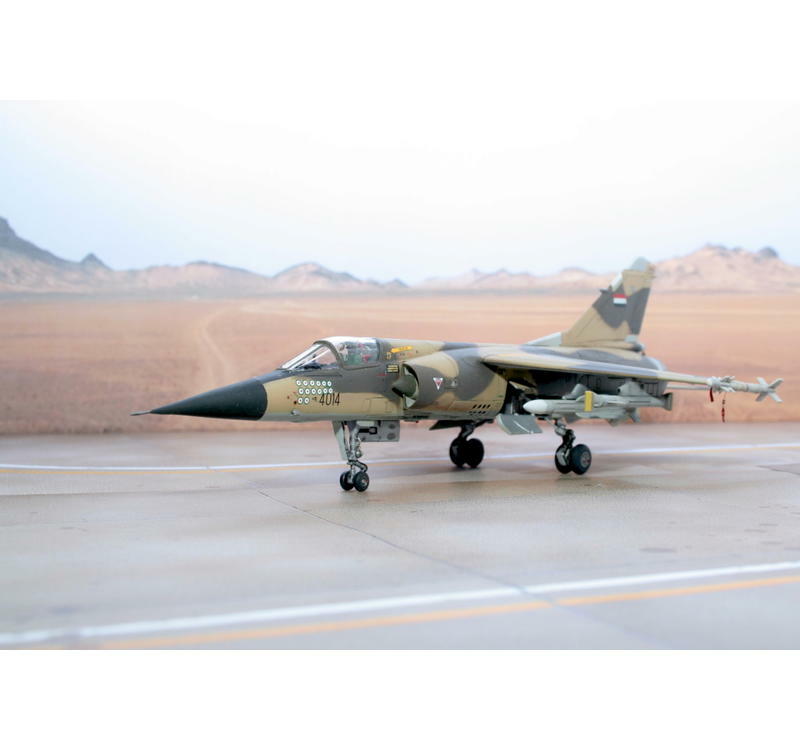 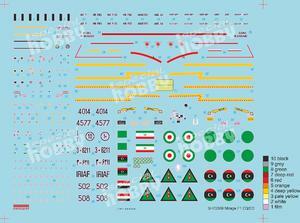 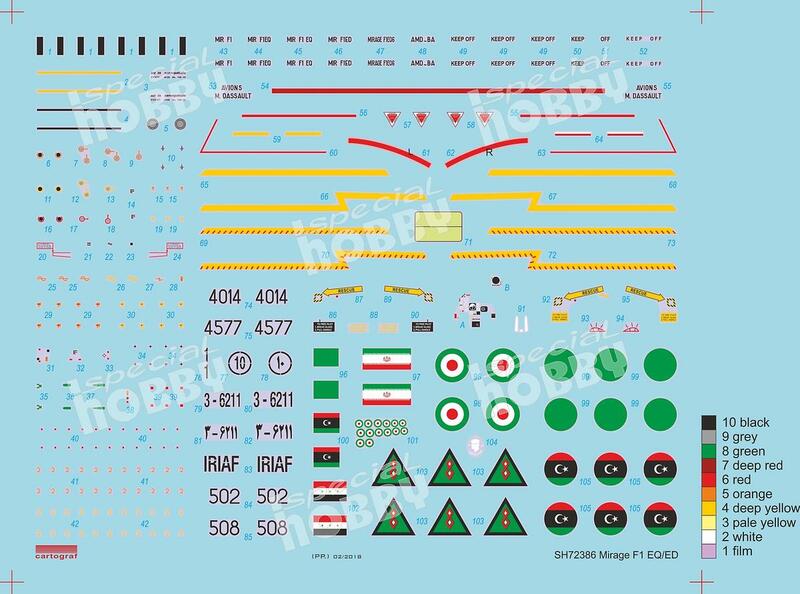 The decal sheet offers markings for two machines of the Iraqi AF, each bearing a different style of camouflage scheme plus one Iranian and one Libyan machine.